Nursery shelving can be functional and help with room organization, but it can also be used to add charm and style to a nursery or child's room. Shelving is a fun way to display books, stuffed animals and other memorabilia. 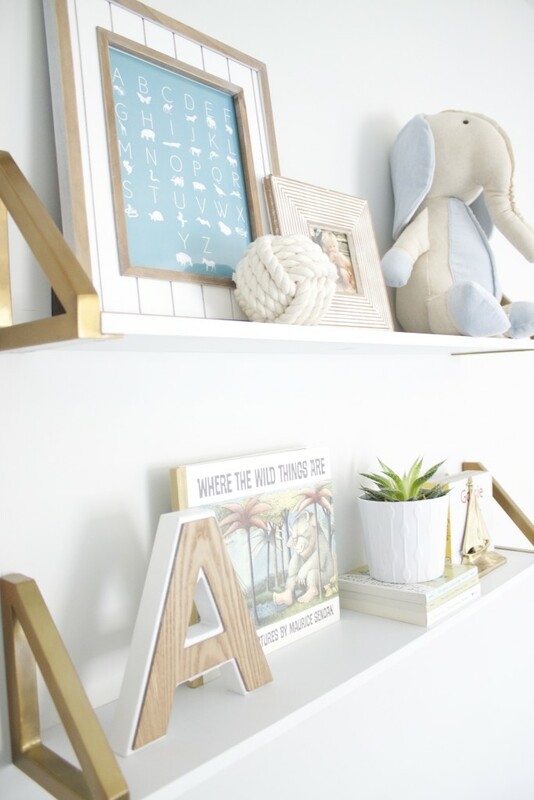 Today we are sharing some of our favorite nursery shelving ideas and creative ways for display of nursery shelf decor! 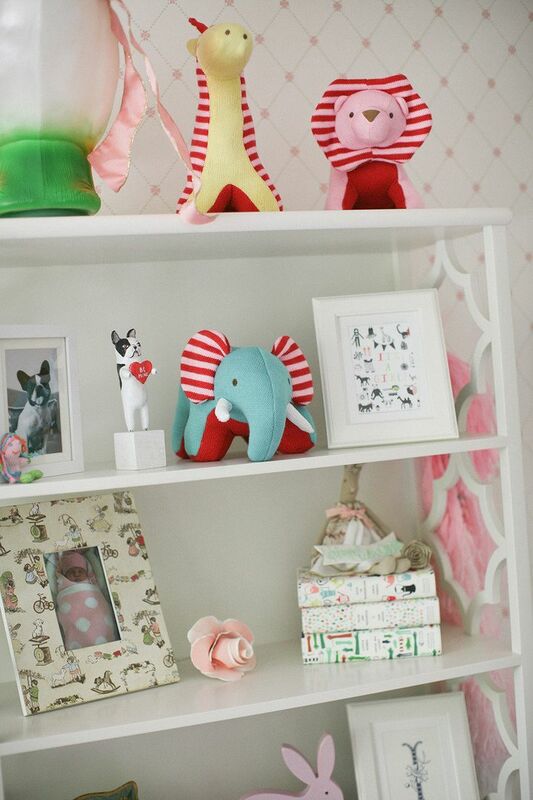 Stuffed animals, books, letters, and picture frames can all be used to decorate nursery shelving. Choose items that color coordinate with your nursery or kid's room. Items you choose for display can add to the style of the room you are decorating. Wooden cubbies are a unique way to display knick knacks. 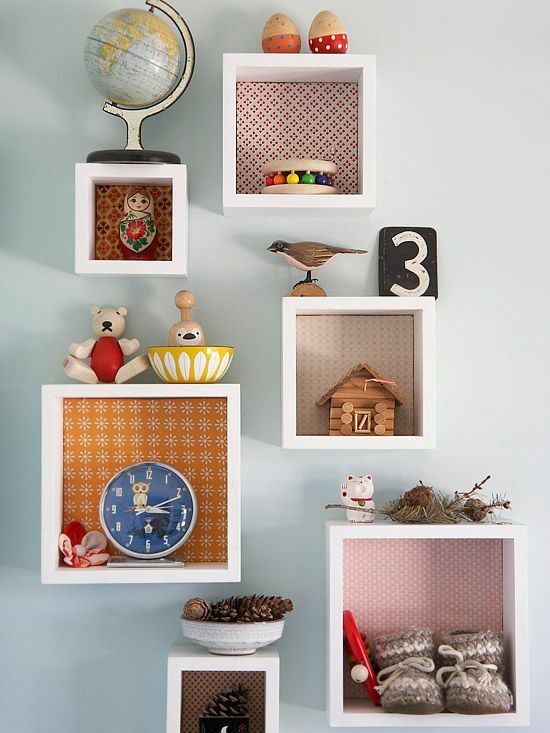 These adorable cubbies are lined with coordinating patterned wallpaper for an added touch. 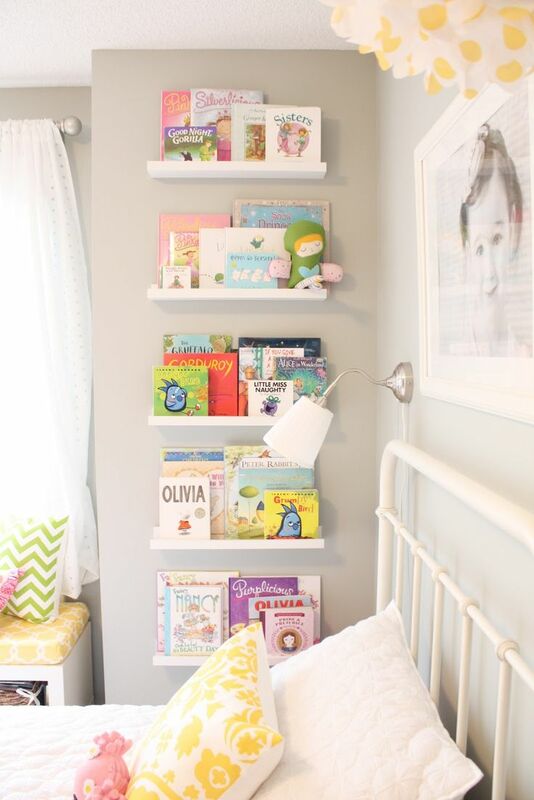 Nursery Bookshelf Ideas: Floating shelves are a great way to display your child's favorite books, and it makes it easy for your child to find his/her favorite book for reading. Built in shelves are a great place for display of accessories. Built in cabinets can create organizational space that is both functional and attractive. This rope shelving is adorable and makes for a fun display of items! What a perfect decor item to add to a nautical themed kid's room. Check out a DIY rope shelf project here. 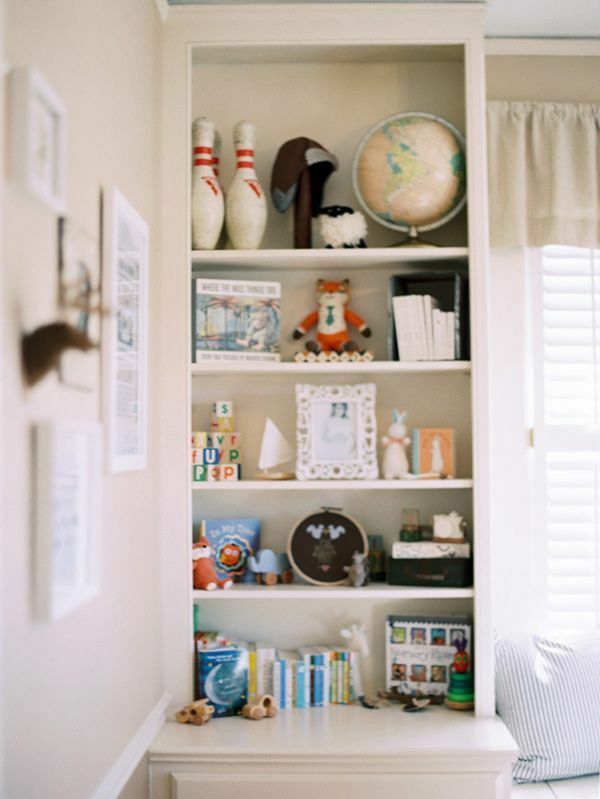 The above bookshelf has an amazing style with stuffed animals, books and picture frames. Nursery shelving is also a great way to display collectibles, memorabilia and keepsakes as well as vintage items shown on the shelves above. Turn a picture shelf in to a book shelf! 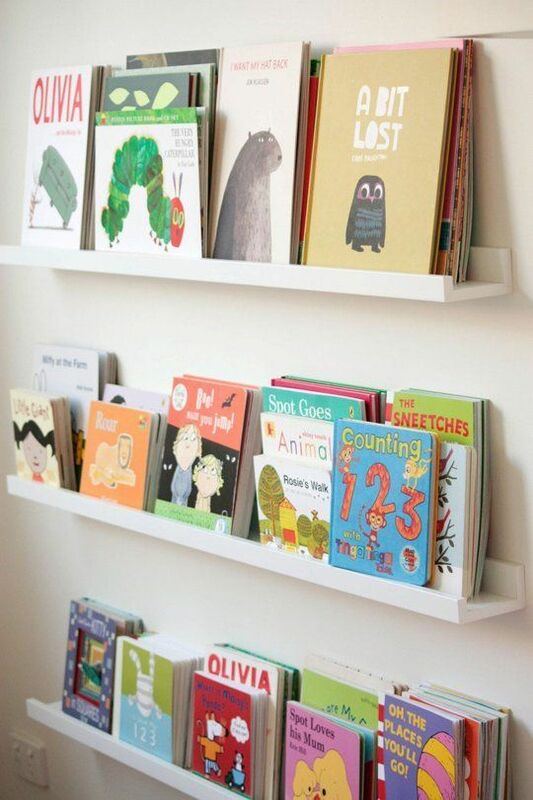 IKEA's picture ledges are an inexpensive and easy way to display children's books. 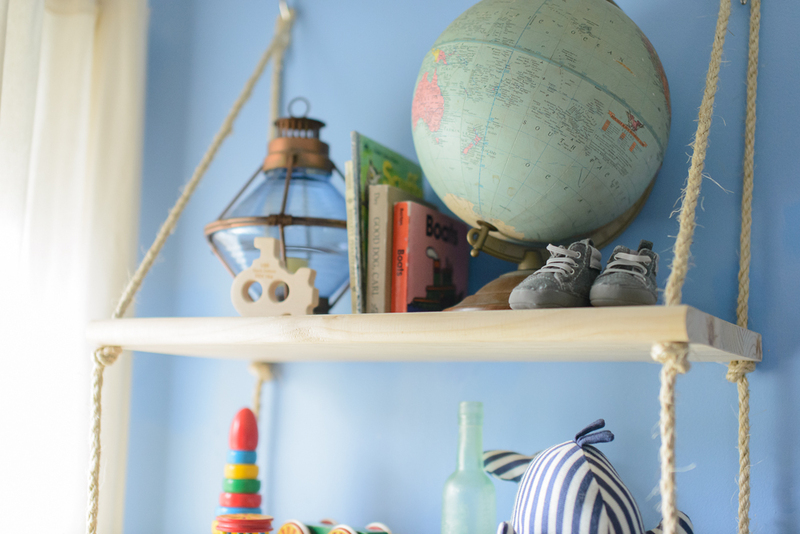 Our cottage nursery shelves give your little one a place to show off his or her favorite books, toys or special collectibles. Scalloped detailing adds a whimsical touch. (No longer available). 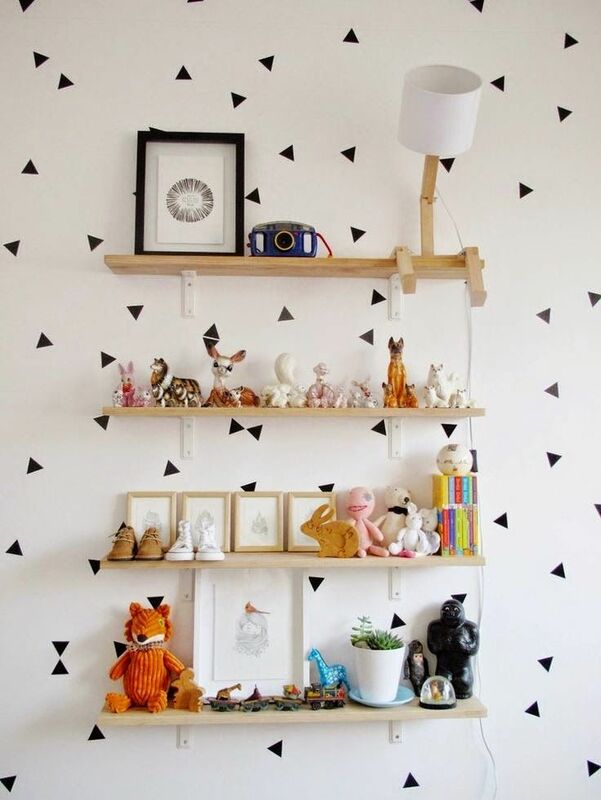 Nursery shelving is a fun way to get creative in your child's room!